Oxford Fairtrade City Status Success! 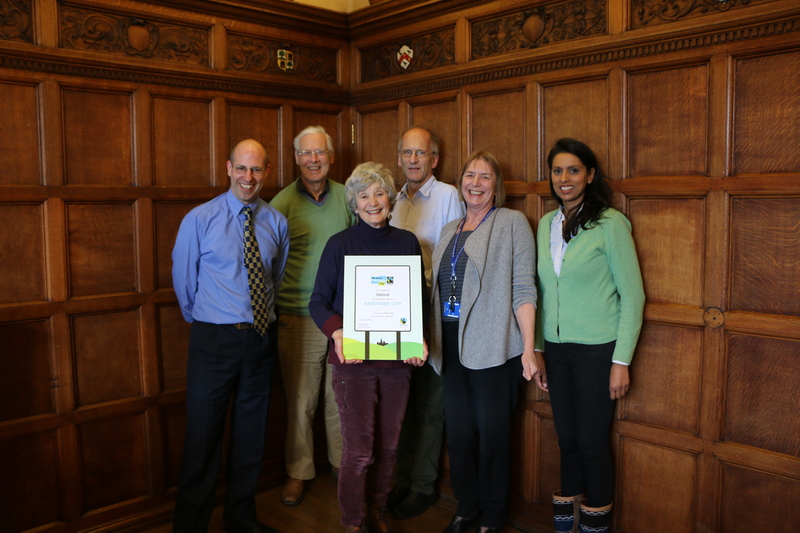 We are delighted to announce that Oxford has retained it’s Fairtrade City status, which recognises the commitment of campaigners, businesses, universities, colleges, places of worship, community groups and Oxford City Council to fairtrade principles and practices across the city. The Oxford Fairtrade Coalition submitted a 2 year plan to the Fairtrade Foundation (www.fairtrade.org.uk) for the on-going support and development of fairtrade activities in the city. The plan responds to 5 Goals which provide the framework for assessing whether a town or city truly supports fairtrade. The Goals are detailed below, and we are happy to share details of our plans on request. Congratulations to all involved and thank you to the many fairtrade supporters in Oxford and across Oxfordshire county. A local Fairtrade steering group representing a range of local organisations and sectors meets regularly to ensure the Fairtrade Town continues to develop and gain support. This entry was posted on Wednesday, June 15th, 2016 at 9:06 am and is filed under Fairtrade City. You can follow any responses to this entry through the RSS 2.0 feed. You can leave a response, or trackback from your own site.